Baltimore Symphony Orchestra’s Principal cellist Dariusz Skoraczewski has delighted audiences of many concert halls in America and Europe with his great artistic and technical command of the instrument. As a soloist he performed with numerous orchestras in the US including the National Philharmonic, Alexandria Symphony, Arlington Philharmonic, Lancaster Symphony and the Baltimore Symphony Orchestra. As a chamber musician, Dariusz appeared in many chamber music concert series including the Candlelight Series, Music at the Great Hall in Baltimore and the Barge Music Festival in New York City. In November of 2005 he gave his Carnegie Hall debut, which was sponsored by the La Gesse Foundation. 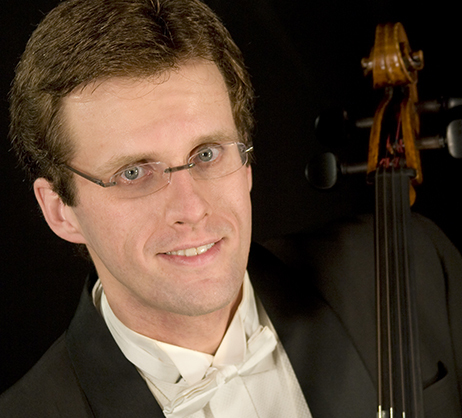 The cellist is also a member of a critically acclaimed ensemble – the Monument Piano Trio. Dariusz is a laureate of various international competitions such as the Tchaikovsky Competition in Moscow, the Leonard Rose Competition in Washington D.C. and the Rostropovich Competition in Paris. The soloist’s repertoire is extremely diverse and includes compositions from early Baroque to the present. His debut CD “Cello Populus” is a collection of solo pieces from the 20th and 21st centuries and includes works of Hindemith, Ligeti, Crumb, Penderecki and others. Dariusz’s second album “Cello Phantasia” features music by Schumann, Franck and Rachmaninov.